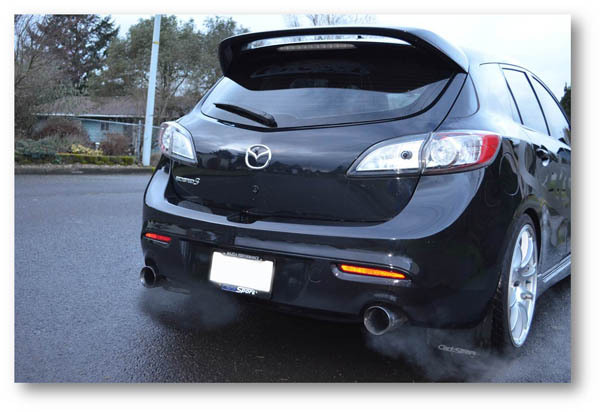 Get added power and upgrade the look of your 2010+ Mazdaspeed 3 with the CorkSport Power Series Axle Back Exhaust. The CorkSport axle back exhaust has been designed to replace your muffler with a straight through pipe to minimize exhaust restrictions and provide a deeper tone. It features mandrel bent, TIG welded 80mm piping for a smooth flow and clean solid connections. The corrosion-resistant T304 polished Stainless Steel construction and 100mm Stainless Steel tips ensure long life and provide a polished aftermarket look to your exhaust system. Disclaimer: NVH (noise, vibration and harshness) in the cabin of your vehicle may be slightly heightened by the removal of your mufflers. Special thanks to jrc89 on Mazdaspeedforums for the video clip! Thought I reviewed this but I don't see my post. May be because I bought it back with the old CS website. Bought back in 2014 still loving this exhaust now. I have put about 10,000 miles on the exhaust with no problems at all. My only complaint was installation. I could not get it lined up and it it kept leaking, even with using recommended torque. I finally gave up and went for a drive, came back and re-tightened and it stopped leaking and hasn't since for 2+ years now. Great sound and a head turner. Wherever I pull up someone seems to say, "love the sound", "what kind of exhaust is that". People at the car wash asking you to rev the car. Not only does it sound great, I could tell after installing that the turbo spooled up with more ease due to better flow. May one day get the full exhaust but if your on a budget like I am. This is just what you need. So i happened to come across a craigslist guy selling this very cheap, and beings that i only use corksport on my car i couldnt resist. Sorry cs for not buying new but youll be getting more of my money soon, trust me. The axle back is great. Fit and finish of it is perfect. Bolted up with ease. The tips fill the bumper nicely. I found with a little tweeking of the hangers it sits snug in the middle. I had to switch 2 of the hangers due to wear in order to get it to line up perfect. So the guy before me said he bought it from someone else as well which means this thing is a beast to be able to do that many miles and ownership changs and still look and function perfect. The sound is amazing. Nice deep tone. Tiny bit of drone but almost unnoticeable at highway speeds. IMHO this is the exhaust that should have come on our cars. Thanks for an awesome product. Very happy overall with the sound and look of this. Have it paired up with a test pipe and sounds pretty deep. Has an awesome growl when in boost. Corksports customer service is also a1, thanks for the t shirt! Will definitely be ordering more things soon. Thanks again for a great product! Wow! I don't know why I put off buying this for my 2011 Speed3. Has a nice rumble similar to a Subaru. Customer service was top notch and I will definitely be buying more things from Corksport. Keep up the great work guys! Sounds great. However I am pretty disappointed as the drivers side tip sits far lower than the passenger side one, and the passenger side tip sits further towards the middle of the car. I spent 3 hours trying to adjust this, and was unsuccessful. It appears to me that the exhaust hanger on the drivers side is longer than it should be. I even went as far as to replace the rubber exhaust hangers with OEM hangers from Mazda just in case they were the issue. Also using the gaskets provided I wasn't able to seal all the leaks, and I was using a torque wrench set to the specified 35ft-lbs. I ended up putting some Permatex copper RTV to seal the leaks. Overall happy with the performance and acoustics, but disappointed with the appearance and install. Waited a while for this exhaust, looks and sounds awesome for the price, especially if you have a resonator delete as well. My only problem with the exhaust is the gaskets that come with it. They were hard to get perfectly lined up so the exhaust didn't leak. After a few tries I got it so there were no leaks. After a few weeks I checked on the exhaust and both connection points are leaking at the bottom of the flange. Im going to have to replace the gaskets to eliminate the leaks. Other than that, the exhaust sounds and looks great. Installed this axle back a month ago. Fitment was perfect. The sound is awesome. Getting a lot of compliments on the looks and the sound. Quality is excellent A+. Sound at idle is throatier and louder at full throttle. Am I please with this system? Of course , as with many other Corksport parts I purchased in the past. Now what's next? Excellent quality, finish, and fitment. Sound is awesome! Great system for the price! Quiet at cruising speed , but the beast is awakened at full throttle. Another great product from Corksport. 5 stars for sure . Just wanted to say installed the axle back system on my 2012 MS3. Very impressed, the sound reminds me of an SRT4 with good exhaust. No offense to anyone. But not too loud but pretty deep. Also as a note make sure you have the gasket and flange lined up perfectly before torquing. Took 2 trys to get it working with no leaks. But great system, looks good too. 2nd of three parts I installed today. I would have given it five stars but I had to do some work to get rid of an exhaust leak at the axle flange. Went to my local muffler shop and picked up a couple gaskets to tighten up the connection and finally got rid of the leak around the top of the flange. NOW, it looks and sounds AWESOME. Just what I was looking for, a little louder than stock with a nice deep tone, but not to loud at highway speed. Nice work. Glad I stopped looking at all those you tube videos and just pulled the trigger. If you are looking for a nice upgrade to your looks and sound this is it. Great Job Corksport!! This exhaust is awesome! You won't find a better bang for your buck. The installation was pretty painless and the fit and finish is exceptional. If you're looking for a little more rumble on a budget and can't spring for the CBE, you won't be disappointed. This exhaust's note is really aggressive, but not obnoxious, and the drone at highway speed seems like it's not too much worse than stock. The tips look very nice in the stock bumper. Will this fit my 2010 Mazda 3 2.5L hatch automatic. If yes, how does it compares with the actual catback (non racepipe) for mazda 3 sold by you when it comes to performance and sound? I have two mazdas, mazda 3 and speed3 both fully equipped with cs exhausts. This axle back exhaust is very loud at wot and mellow at low speeds. The tone is top notch and everyone turns their head. Install took less then 10 minutes removing three bolts and i highly recommend this exhaust. I will be coupling a UR mid pipe upgrade with this system. Awesome look and sound, easy install only issue I had was one of the rings didn't fit properly so I had a small leak at axel hook up but min later had that fixed and have loved it. This is an awesome system!! Gives the car a perfect tone. Not to loud but not quiet. Also the tips give the car a great look. Overall easy installation and a great quality product! "Sounds Very Good on a stock setup, Does anyone have any experience with this setup and a test (Cat Delete) pipe? I dont want it to be too loud.."
Why is one of the sides of the exhaust not putting out as much heat as the other? Is it safe to run this with a resonator delete? I wish corksport sold a CBE upgrade (midpipe) along with this though. Sounds Very Good on a stock setup, Does anyone have any experience with this setup and a test (Cat Delete) pipe? I dont want it to be too loud..
if i install this with my intake and stage 1 tune will i need fuel pump internals as well? I just installed this system last night. It sounds way better than the Ultimate Racing axle-back system it replaced. The exhaust note is awesome, now with a nice bit of rumble to it. The fit and finish are top-notch. Everything I install from now on will be Corksport. Thanks again for your great products and excellent customer support!! has anybody used this with your TBE yet? I'm thinking that would be the sound I've been searching for! So if i order it Saturday, it should get here before Thursday? CorkSport Reply:time in transit depends on where you live. UPS does not move packages on Saturday or Sunday so that can affect shipping times. CorkSport Reply: 2-3 days to anywhere in California. is there a way for me to get a corksport axleback with muffler? CorkSport Reply:That is currently not an option. alrigth since you do not make axleback with muffler i would have like to do custom exhaust with corksport axleback so is there no way for me to get one with muffler ? i dont want to do straight pipe exhaust! do you sell an axleback with muffler just like the catback exhaust ? CorkSport Reply:We do not, the sound level with the axle back with the same mufflers as the cat back is super quiet. I have a magnaflow exhausted originally, however the mufflers baffles are gone, can I attach this cs axle back straight to the magnaflow mid pipe? CorkSport Reply: We have not tried this out before. If the magnaflow rear section bolts to the stock mid section it should work. I have a 2012 Skyactiv. IF i get the cold intake, and then change out my rear bumper to have the dual slots. Will this work on my car?. CorkSport Reply: If you have a hatchback model it should, it would be loud though on a non turbo car. This exhaust sounds awesome. Fit great and the quality is just breath taking. Its loud but has a great sound quality. Since the axle back portion of the MS3 fits the MZ3 2.5L, would this fit as well? CorkSport Reply:It could fit the Mazda 3 but it would be really loud. Love the look and sound of this on my 2010, I do have a little trouble with keeping the tips lined up properly though. They seem to keep shifting to the left side of the car. Has this been reported by anyone else? I do have the CS poly hangers although I doubt that would be a factor. I've been meaning to take it off again and rebolt to see if I can keep it straight. CorkSport Reply: Check the flange where the axle back connects to the factory exhaust and make sure it is squared up. Is it safe to run on an otherwise stock car? I've heard people say you need a fuel pump upgrade or something like supporting mods (intake) to run this. Can I run JUST the axle back on a stock MS3 without Access Port or anything? CorkSport Reply:You can run the axle back exhaust with no other modifications required. Just put this bad boy on yesterday and let me tell you what, it sounds like there is a hungry monster living on the back of my car at wide open throttle its one of the best exhausts ive ever heard i feel a little less lag and pick up speed got a little faster best bang for your buck right here i would expect noting less from corksport thank you guys. rating 1-10 i give it an 11 on looks sound NO Drone whatsoever which is great!!!!!!!!!!! A police officer actually pulled me over to say the exhaust sounds Great! Which one would be more beneficial the axleback or catback? CorkSport Reply:The Cat back is made for more power gains. this comes with all the gaskets and everything correct? CorkSport Reply: The exhaust includes everything needed for installation. CorkSport Reply: The exhaust does not have a CARB #. The Stage II intake is CARB legal. Will this fit a Mazda 3 2.5 hatchback? Seeing as there is no axel-back for the regular 3 yet, will this fit my 2011 mazda3 s? This system is beautifully made. Very nice welds, and the tips look great out the back. I currently have a test pipe on my car and was expecting it to be much louder than my previous Magnaflow Cat-Back, which it was. I'm glad I kept the on the resonator! Yes this set up is much louder, especially with a non-cat test pipe!! I do like it very much, just gotta get used to the vibration and sound. The power increase is very very good also!! Thanks Corksport!! with the muffler delete cause it to fail emissions? >>CorkSport Reply: It should not cause any emissions problems. I really wish somebody would post up some sound clips on this soon!! Is this considerably louder then the cat-back? >>CorkSport Reply: The Axle Back changes the tone of the exhaust. It is also a little louder than the stock muffler. Just installed on my 2013 and it sounds amazing. Do you have a video clip of this exhaust we can listen to? 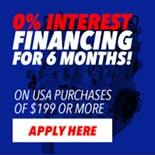 Will this fit on my 2013 mazda 3 gt hatchback? will it fit my corksport catback exhaust? Will this Axel back exhaust bolt up to my factory piping ? >>>>CorkSport Reply: Yes it will. Can you get this axle back resonated? Like the one on your cat back system. I already have this axle-back and looking to upgrade to a full turbo-back. Will I get true 80mm piping throughout with a downpipe and midpipe upgrade, or does this axle-back fit to 65mm? The full turbo back will be 80mm all the way through. The axle back will fit to both. Do I need to have the HPFP internals installed for this exhaust if I am running the CS SRI now? For this exhaust no. Only once the downpipe is installed or you have started tuning the car. Will there be development on a similar axle-back, but single instead of dual outlet? Unfortunately, i do not see us producing that. I already ordered the axle-back and have it, but due to rust I now have to go full catback. If I order the mid-pipe only, does it come with the required hardware to connect the mid-pipe to the downpipe (where the spring bolts are located)? We can make sure that you get proper hardware for it. Any idea if the axle-back exhaust will fit if using the Curt 11383 class I trailer hitch? Looks like potentially the hanger for the driver's side might interfere. Not 100% sure if it will fit, but there will be more room under the car once our exhaust is installed. If it fits with stock exhaust, then it should fit with ours. If i didnt get the mid pipe im i going to hear any sound difference? You will definitely notice a difference. You car will be louder and have a lower growl to it. When installing cs axleback to stock midpipe, do i need to remove the donut gasket in the midpipe and replace with the flat gasket provided with cs axleback? I have a slight leak but im not sure if its from the flat gasket being misaligned or the stock donut gasket from the stock midpipe. Overall the axleback is great in every aspect other than the slight leak. You need to use the flat gasket we provide or you will have an exhaust leak. Would this fit my exhaust system if it's all Stock? Nope, it is direct fitment! So this axle back system will fit the bumper tip cut outs on a mazda 3 gt? We have never tried one. Based on what we have seen on the forums the cutouts are in the correct location. Will this axle back fit my 2011 2.5L Mazda3 HB? It was designed for the Mazdaspeed 3, we have not tested it on a regular MZ3 hatchback.